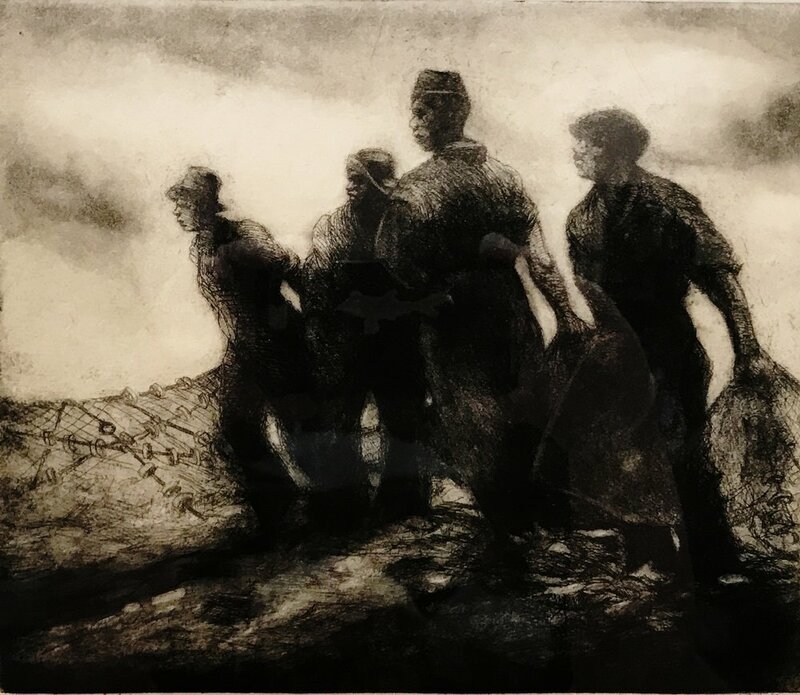 In carborundum printmaking, the areas in the which the metal plate are to print in black ink are covered with a mixture of carborundum and a binding agent. Carborundum is a industrially produced substance which is made of silicon carbide. When dry the area retains ink just as any other intaglio process. Carborundum printmaking gives a rich smooth surface.